One of the many aspects of Irish history that requires more exploration is the exact nature of warfare, a really detailed military history. Some efforts have been made in this direction in recent years, but much remains to be done. What might become clear from such work is the way sieges played such a prominent role despite in many ways, the field battles, like the Boyne, Vinegar Hill and Aughrim, attracting so much attention. These sieges were not always decisive, but their impact was often considerable, both in terms of the deaths they caused and the hardship they imposed. One such siege was the siege of Limerick which after an initially aborted effort in 1650, started again in June 1651 and ended on this day in 1651. The siege saw great hardship on both the attacking and defending sides. The city and its defenders suffered both shortages of supplies and plague yet only surrendered when a portion of the garrison mutinied, turned their cannon on the city and forced the more stout-hearted of their allies to surrender. There’s a fine description of the events over on The British Civil Wars, Commonwealth And Protectorate site. 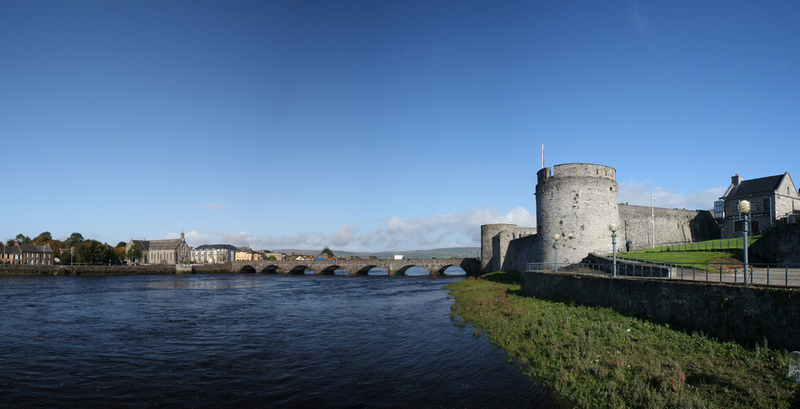 Despite slow starvation and an outbreak of plague in the town, the siege of Limerick continued until October. A majority of townsmen were in favour of surrender, but O’Neill intended to hold out until the winter when the English were likely to withdraw into winter quarters. The Catholic clergy supported O’Neill and threatened to excommunicate anyone who surrendered. However, by late October, Ireton had established a battery of siege guns and was battering a weak section of wall in preparation for an assault. On 23 October, Colonel Fennell led a mutiny against O’Neill and seized Limerick’s south-eastern gate. The mutineers turned the cannon mounted on the walls inward against O’Neill’s loyal troops and, supported by the town councillors, demanded that he negotiate terms with Ireton. Unable to resist any longer, Hugh Dubh O’Neill surrendered Limerick on 27 October. The townsmen were granted quarter for their lives and property, but were warned that they could be evicted in the future. The soldiers of the garrison were disarmed and allowed to march away to Galway. Several of the leading defenders of Limerick were executed for prolonging the siege, though O’Neill was reprieved because he was a subject of the King of Spain, having been born in Flanders. He was sent as a prisoner to be dealt with by the authorities in London, where he was imprisoned in the Tower until 1653. The commander of the Parliamentarian forces was Henry Ireton, one of Cromwell’s most effective commanders. His efforts at Limerick proved to be his near final act as he died in the city only a month later of a fever. This was not Limerick’s first siege, it was besieged during the confederate was a decade earlier and it was not its last either. The city suffered yet another round of sieges during the Williamite wars in the 1690s. The city, strangely enough also surrendered in October on that occasion with the leader of the defenders, Patrick Sarsfield agreeing a treaty and relatively fair terms for those inside the city walls. Written by: Eoinpurcell on 27 October, 2010.on 3 November, 2010.